Recently, one of my best friends from home (Minnesota) ventured to Tempe to spend a long weekend with me. This was her first time ever visiting Arizona, so I wanted to make sure it was a good one. We stayed pretty busy despite the triple digit temps (which she mentioned was more tolerable than the humidity happening back at home) both inside and outside of Downtown Tempe. She finally understood (and fully adopted) the phrase "but it's a dry heat!" The brunch crawl just so happened to be going on during my pal's visit, and it was definitely a highlight! The crawl started at Delice Bistro, where we enjoyed a chocolate croissant, laughing at everyone's awesome brunch shirts, and some photos in front of the DT backdrop. 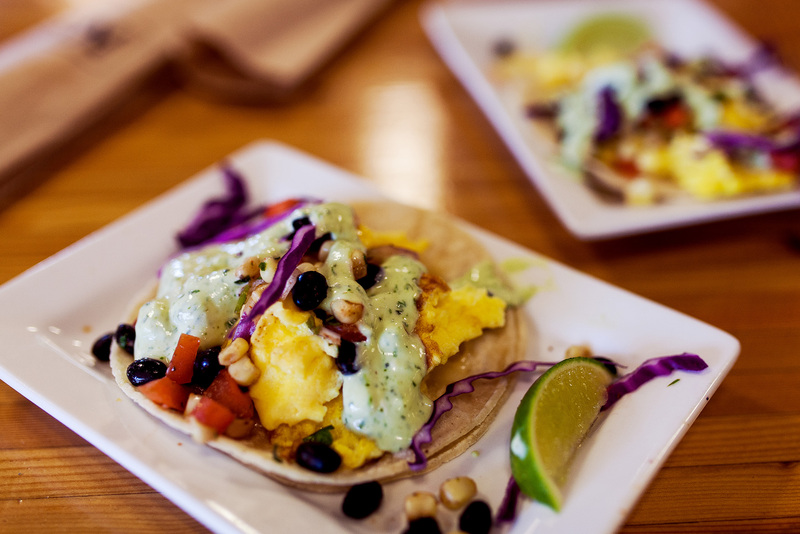 We hopped onto the trolley with our group and proceeded to Ncoutner for breakfast tacos (OMG) and a bloody mary. Not a bad way to start the crawl! After Ncounter, it was time for chicken and waffles at Blasted Barley. Don’t even get me started on this… I’ve been dreaming about them ever since. True love does exist. Lastly, we enjoyed a refreshing peach bellini and ciabatta french toast at Postino. 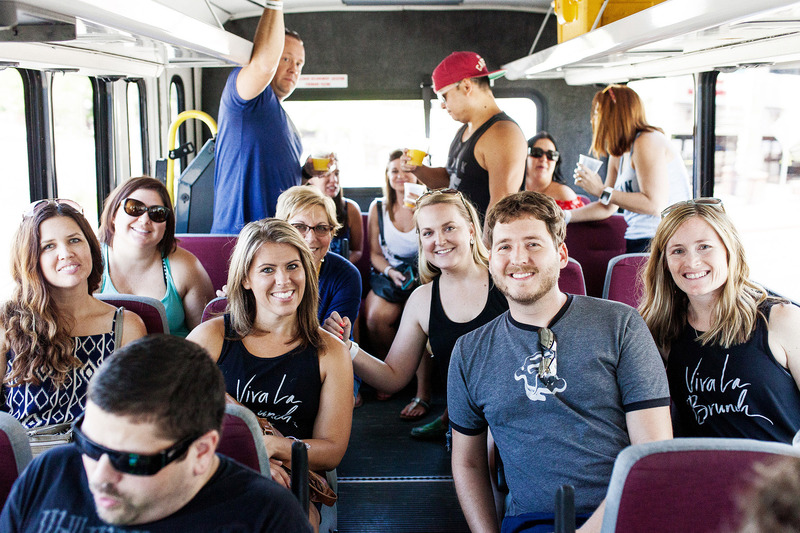 The brunch crawl was great because not only did she get to sample some of Downtown Tempe’s drool-worthy food, but she also got to “tour” the city… on an air conditioned trolley with a mimosa in hand – the best way possible, basically. 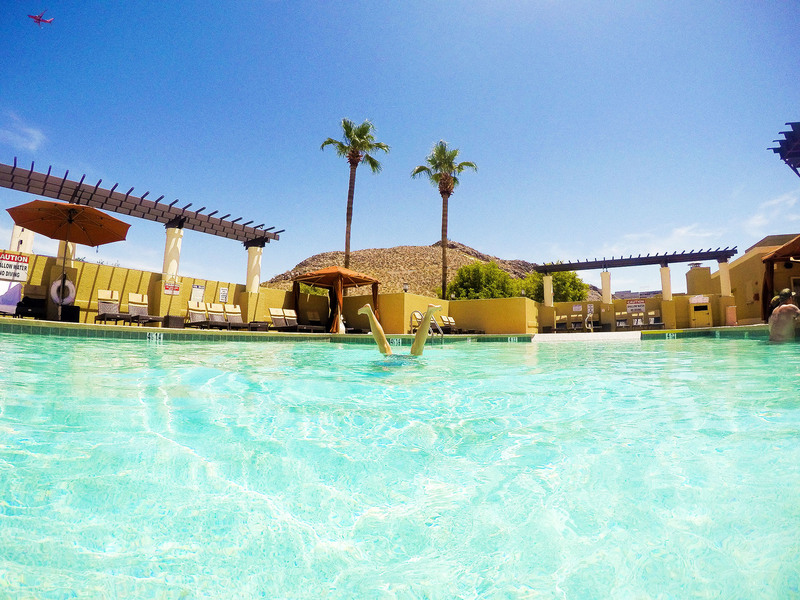 Swimming at Mission Palms has been on my to-do list all summer, but I just haven’t gotten around to trying it out yet! Talk about impressive – we arrived early, so we were able to score one of the cabanas. We enjoyed our fair share of beers, great music (thanks Mission Palms! ), photos of the ridiculous rooftop view, and cannon balls. All of those mimosas and beer had us feeling some guilt, so we needed some sort of workout to ease the pain. The Madison, a health club located in The Yard that offers phenomenal “party on a bike” classes, offers a drop-in option for $15, so we went for it! The music was BUMPIN’ super loud, the room was pitch black with the exception of the colored bulbs which flickered to the beats, and the instructor was full of high energy and encouragement! We both got our butts completely kicked by the workout, but it felt like a one hour dance party. We loved it! 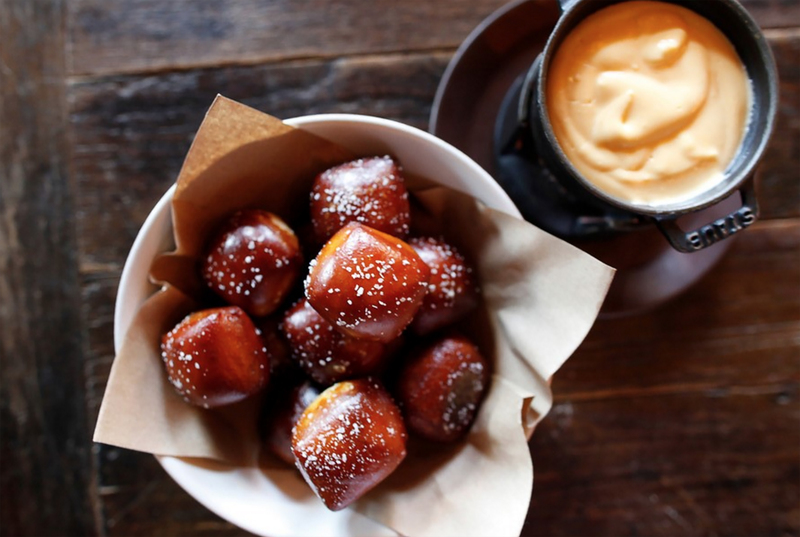 If you haven’t had Culinary’s soft baked pretzels and provolone fondue yet, you are seriously missing out. I find myself dreaming about these things! Shareable, dip-able, and seriously addicting. Call me crazy, but I have a feeling that the amount of visitors from my mid-west squad will be rising once the winter months roll around. 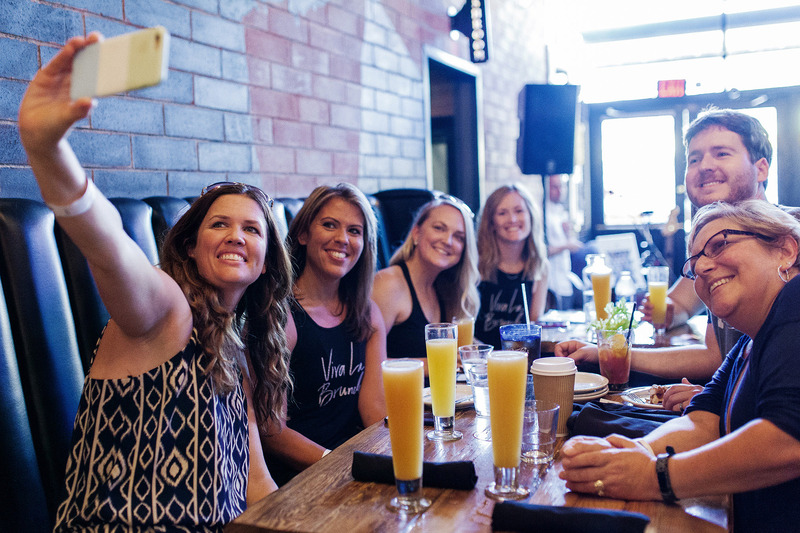 ;) I’d love to know which #DowntownTempe spots you show off to your visitors when they’re in town... let me know by commenting below, or sharing a photo of your go-to's on Instagram and Facebook and tagging #DowntownTempe !